You can tell a lot about a nation by the games it plays. And boy, what a difference a year can make. Just one year ago at Toy FairNY, one of the largest showcases for the toy industry, words like “inclusivity” and “diversity”, and categories like robots, coding building and STEM education were the buzz of the new season’s toy lineup. Maybe politics dictates play. Maybe not. But boy, have we regressed. 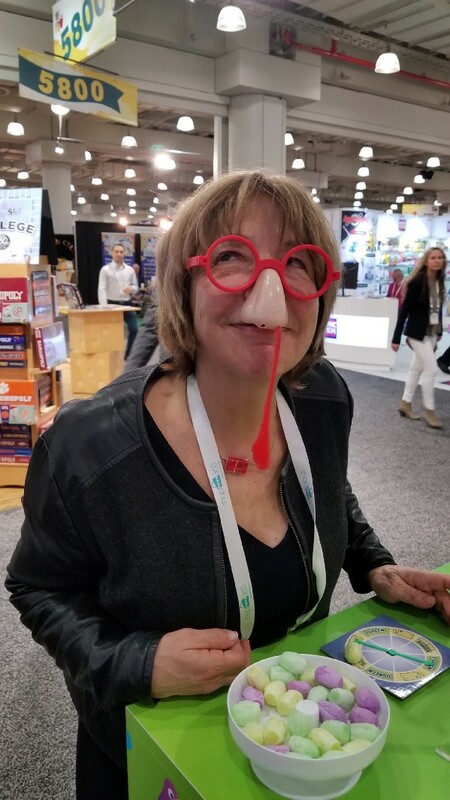 In 2018, Toy Fair brandished a diminished IQ, cheaply built games and a heavy dose of grade school farts, poops, buggers and zits. Gross-ology and low brow is back. Here are just a few examples of “heads in the potty “ and not in the skies games we saw at Toy Fair . There were countless variations of ways to collect pooh. Spin Master showed Flush Force a, set of 150 nickel-sized collectible creatures that crawl out of the toilet and into your life. Just add water to the toilet bowl, shake, open the lid, and pull out your find. Some will be rarer finds than others. At $2.99 and two characters per bowl a kid can literally toss their allowance down the toilet. Poopeez, another collection of poos with a personality comes offers Pooji, Skid Mark and Dumpling to name a few. 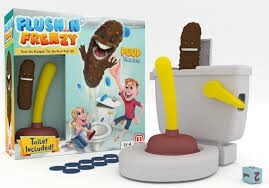 Mattel’s Flush N’ Frenzy, keeps you and the other players plunging until a brown plastic poop flying into the air. Catch it and you win. In a twist on Twister, there’s, Hasbro’s Don’t Step in It where you form poop paddies from clay and then walk across your poop-ridden play mat blindfolded trying to avoid missteps. Cut the Cheese features a wheel of plastic cheese. Each slice you cut makes a sound. Get the fart sound and you’re the stinker. Tomy’s Stink Bomz, a line of plush farts, each with their own olfactory delight. And WowWee’s What’s that Smell is a scratch-and- sniff game that asks you take a whiff and identify the odor’s origin. Get too many wrong and you’re forced to visit the Wiff of Shame ranging from vomit to dirty diapers. That’s me playing SnotIt fromKD Toys. 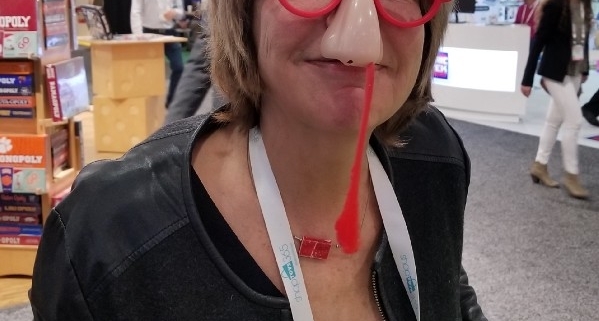 Check out the Groucho Marx style glasses and nose with a sticky string of snot hanging from it. A spinner tells you which colored piece of snugger (made from styrofoam packing peanuts) to pick up with your snot catcher. Then there are squirting zits, rendered so graphically you’ll feel like a junior dermatologist. Pop A Zit from Jaaks Pacific — features a face that explodes wads of silly string if you’re the one to cast a bad die roll. Spin Master’s Dr. Pimple Popper is played like operation. You can extract the pimple carefully or you’ll have an erupting the mega-zit. Yup! In times of turbulence and change, potty humor seems to offer an escape.